Unlisted in Medcalf and Russell. However, listed in Klenman as K110. Image taken from The Faces of Captain Cook, by Allan Klenman (out of print and difficult to locate a copy). The mintage is high (~1,400), but remember that a set must be broken-up to obtain one. Issue was limted to membership. Here is my previous blog about the Klenman book. 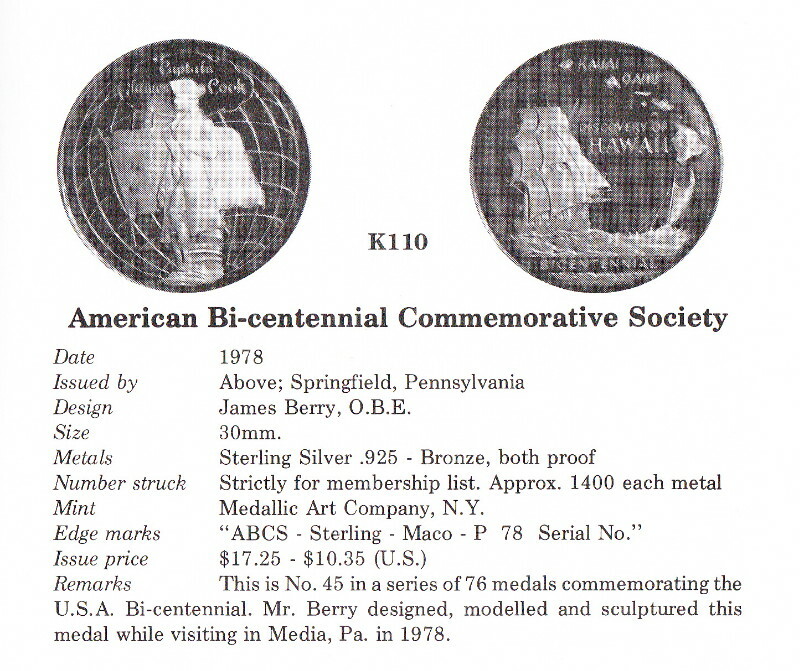 There are other Captain Cook/Hawaii numismatic items listed in this book. As previously mentioned in my earlier blog, this book references the first edition of the Medcalf & Russell book.